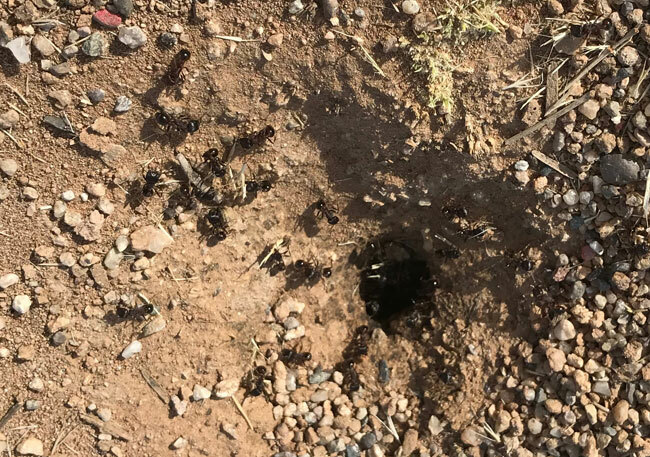 A friend is building a new house and he wanted to know about the ant colonies he found in his yard. 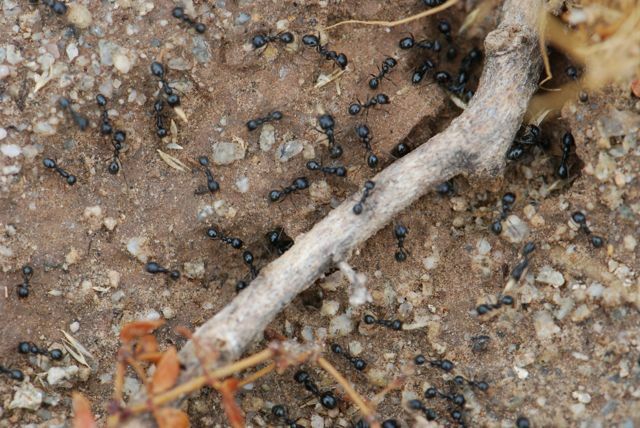 These shiny black ants are Messor pergandei (also seen in the literature as Veromessor.) 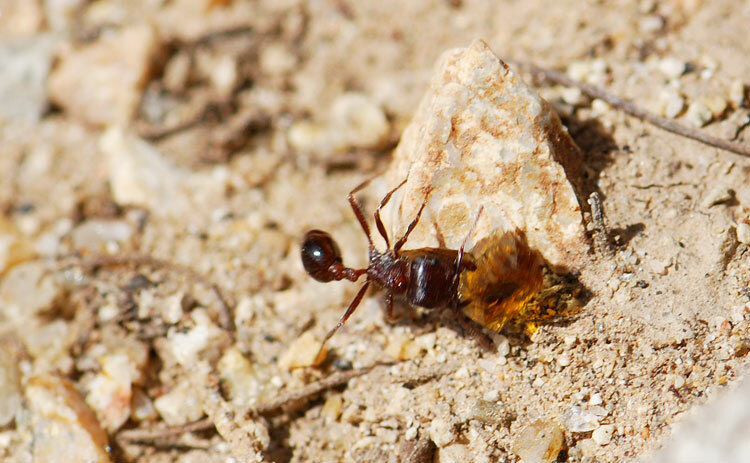 They are a type of harvester ant, which means they collect, process, and store seeds as their main food source (See previous post). 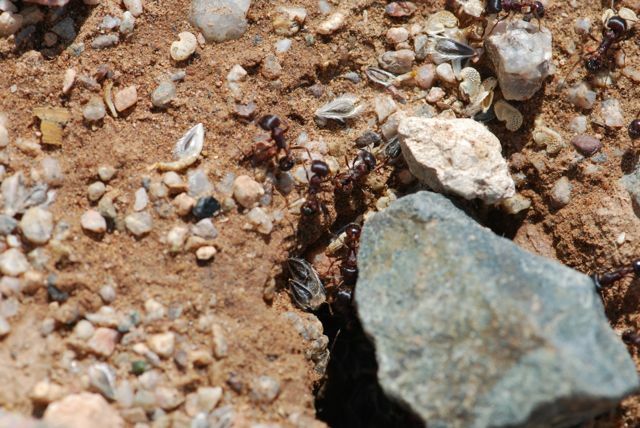 Nearby was another ant colony. 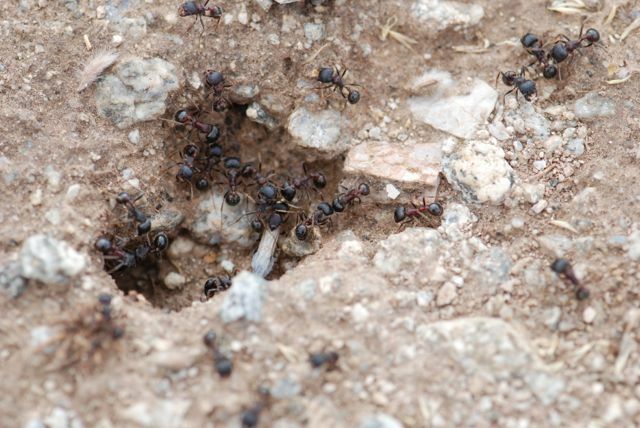 Although these ants look similar superficially to those above, on closer inspection their bodies are dark maroon-red rather than black, particularly in the mid section. They also have fine parallel grooves on their heads. 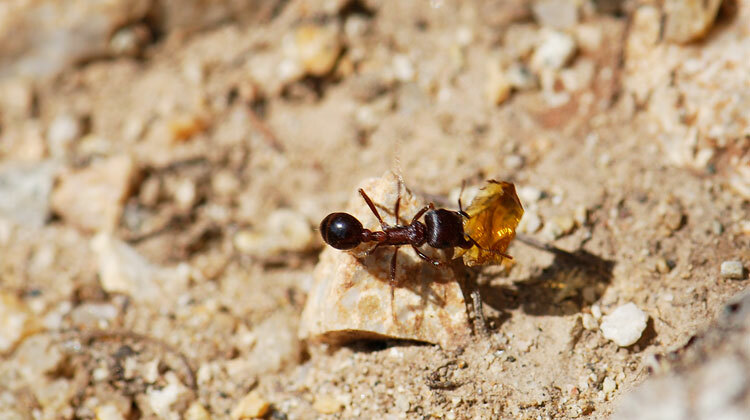 Theses ants are harvesters known as Pogonomyrmex rugosus. 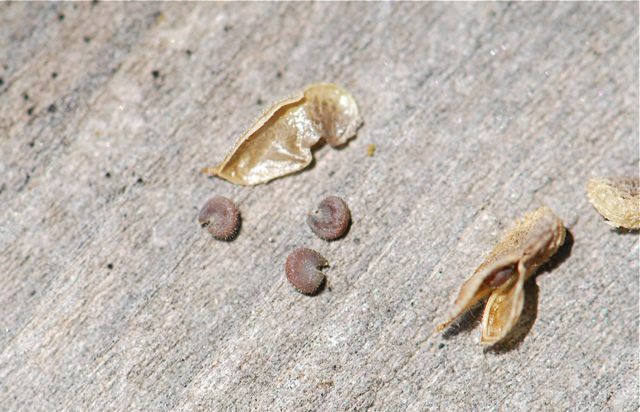 Although both these species harvest similar types of seeds, it is not uncommon to find them living near each other. Robert Johnson (1992) suggests that they may segregate over broad regions based on soil texture, but coexist together in regions of overlap. 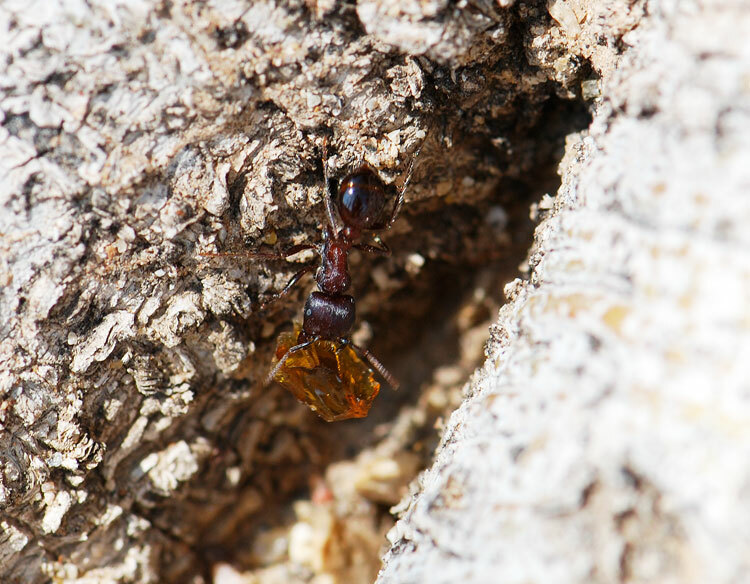 Some of Bill’s earlier photographs showed the ants had placed a ring of wood fragments from construction as a barrier around their colony. It would be interesting to see whether they were reacting to conspecific colonies or those of other species. Wouldn’t it be cool to have ant neighbors like these? Kwapich, C.L., Gadau, J. & Hölldobler, B. 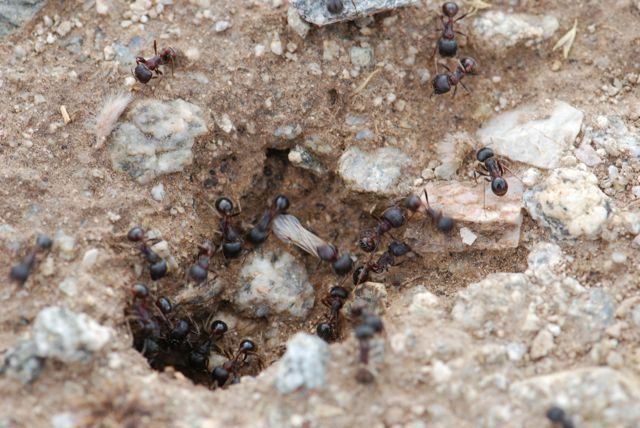 (2017) The ecological and genetic basis of annual worker production in the desert seed harvesting ant, Veromessor pergandei. This week we’re going to be doing a little trash talking. About ant trash, that is. 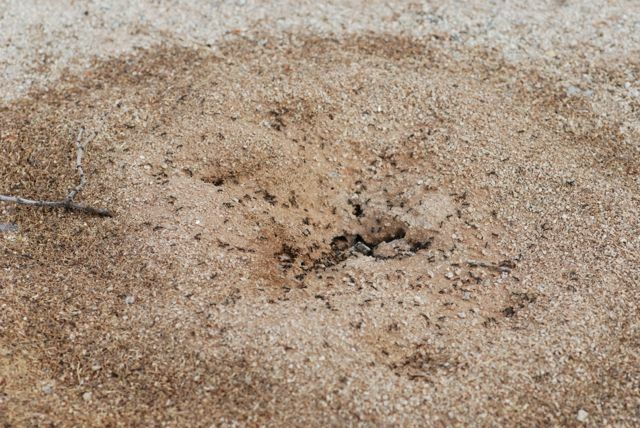 Ant trash or “middens” are the discarded materials that ants pile around or near their nests or mounds. 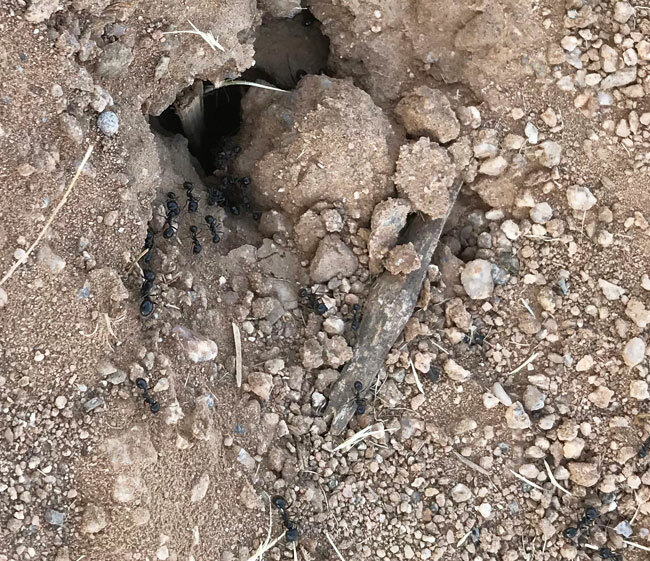 Today we’re picking through the middens of a colony of Pogonomyrmex rugosus harvester ants found at Veteran’s Oasis park in Chandler, AZ. This first photo was taken on November 29, 2012. What do you see? Small bits of rocks, of course. 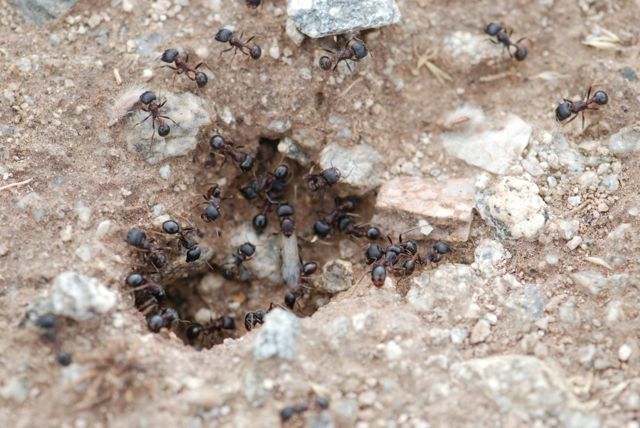 Those are common around harvester ant nests. 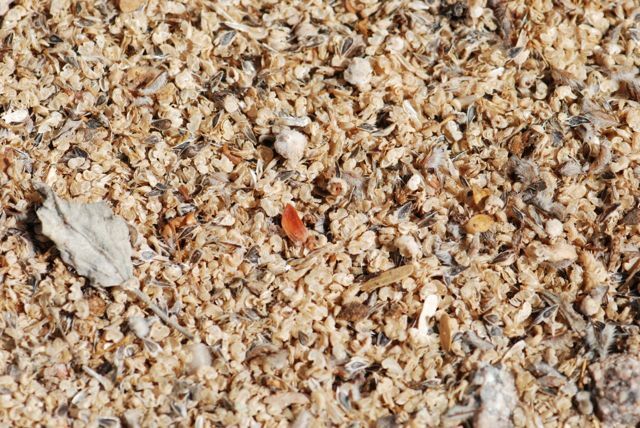 Being familiar with the plants found in the area, it is also possible to pick out some discarded seed materials. You can also find some desert mallow, Sphaeralcea sp. 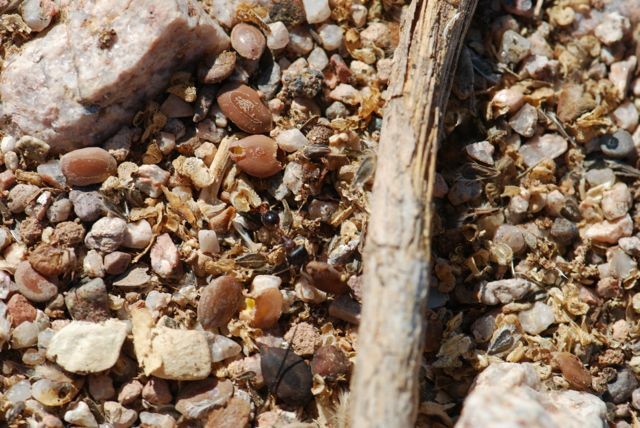 The desert mallow seeds have a covering that is often seen in these middens. 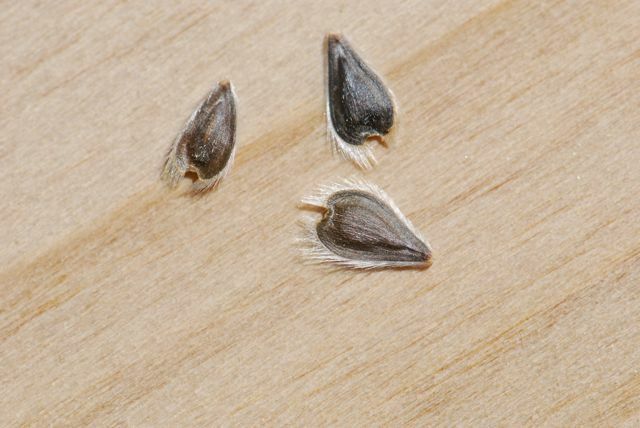 This is what the desert mallow seeds look like with the covering removed. Finally, the larger pale seed toward the upper right is a mesquite of some sort. The next two photographs were taken on May 6, 2013. 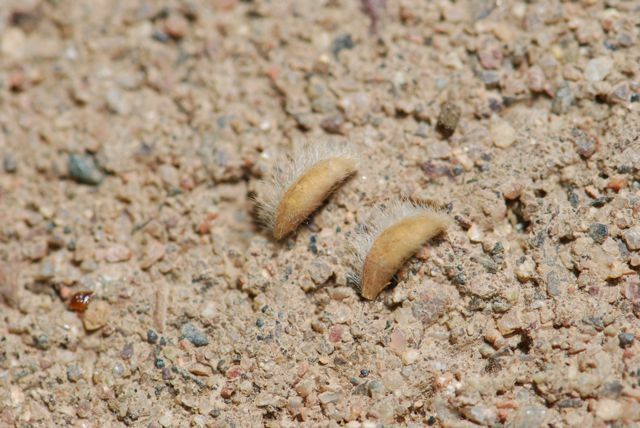 Taking a closer look, it is apparent that for the most part these middens consist of discarded dark gray fringed seeds from brittlebush, Encelia farinosa. 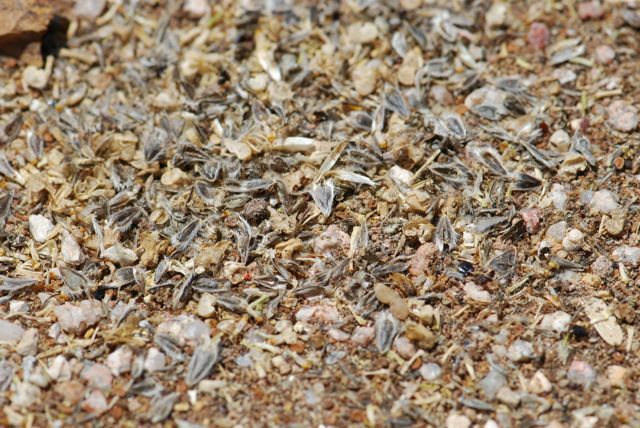 In August 2014, although there were still brittlebush seeds, the mix was more varied. 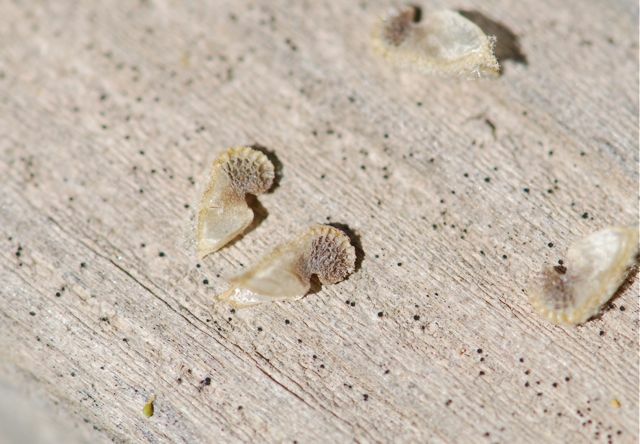 The larger, ovoid brown seeds are apparently from a honey mesquite. Over the weekend I visited the same colony again (April 26, 2015). 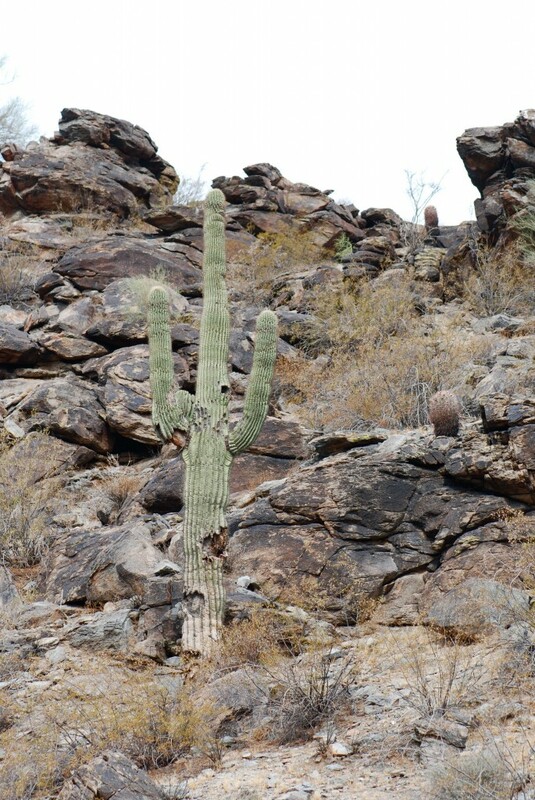 See the brittlebush and desert mallow seeds near the top of the photograph? Some of those were being dropped by workers from outside the nest and picked up by other workers to be taken inside. Other were being taken out. 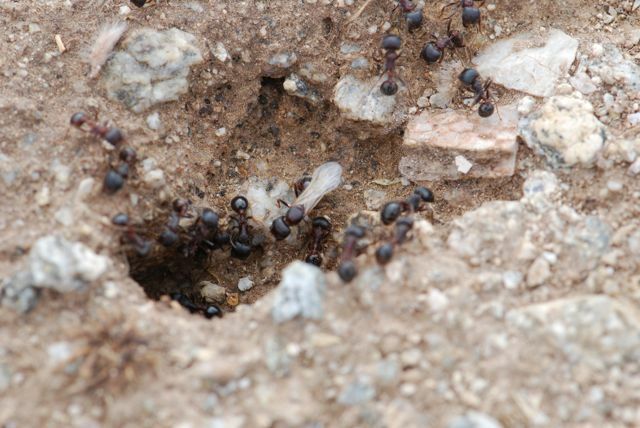 Around the nest, the ground is covered with plant material likely deposited by the ants. 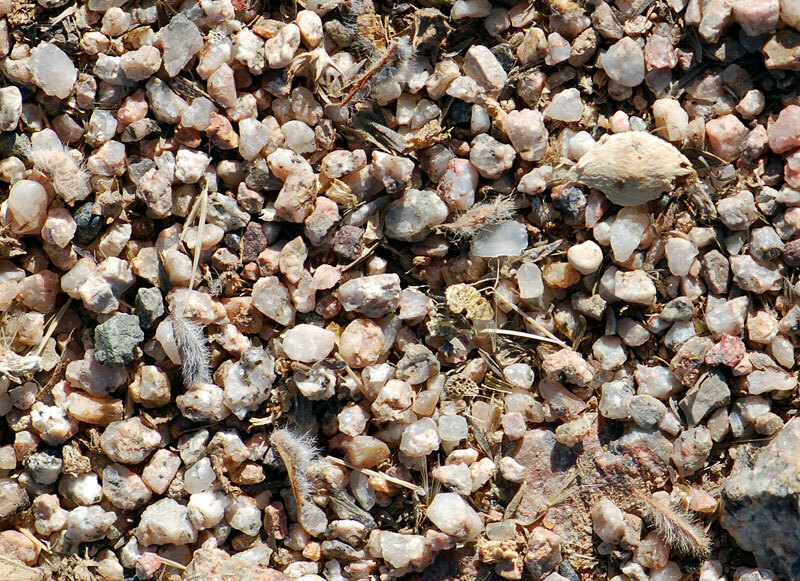 Note: the brown round objects are jackrabbit scats, probably incidental. Close-up, it looks like quite a few desert mallow, creosote bush and some brittlebush discards. 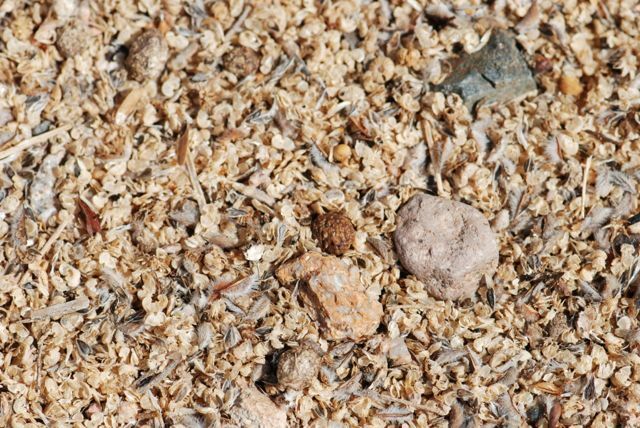 What does studying middens tell us? First of all, from the photographs we can safely say that as the colony has matured it seems to be gathering a substantially larger amount of plant material. 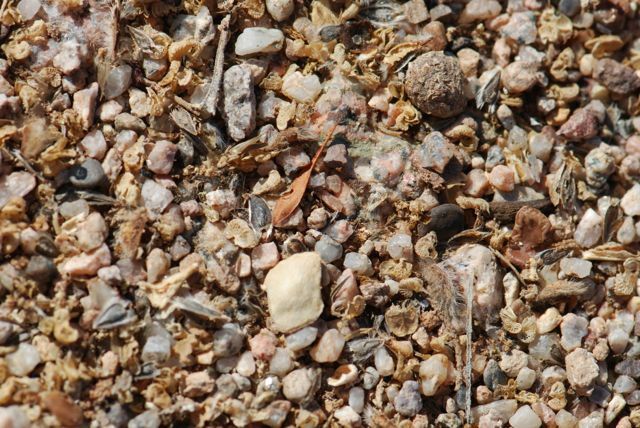 The amount of middens probably isn’t a clear indicator of colony size, however, because the quantity of middens likely also varies with season, habitat, and recent weather. 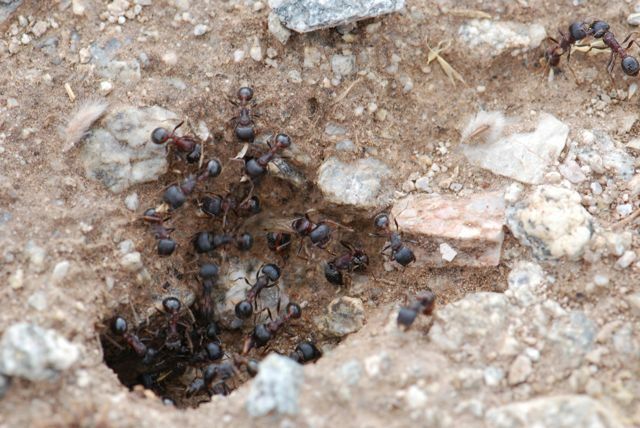 Taber (1998) indicates that worker harvester ants may store trash in underground chambers. These trash chambers may be closed off, or periodically cleaned out and brought to the surface causing a flush of discarded materials. 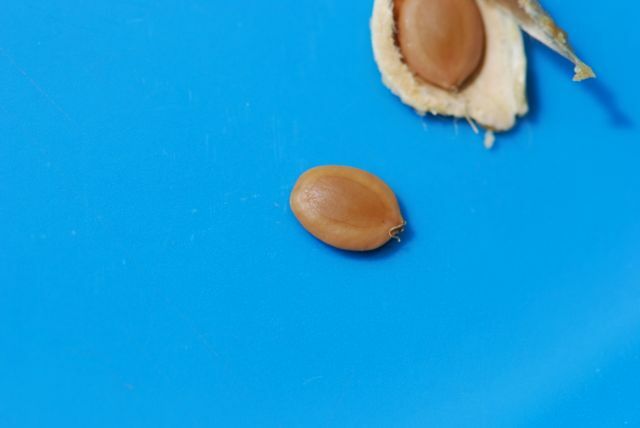 We can also make some assumptions about what seeds the harvesters are gathering throughout the season. 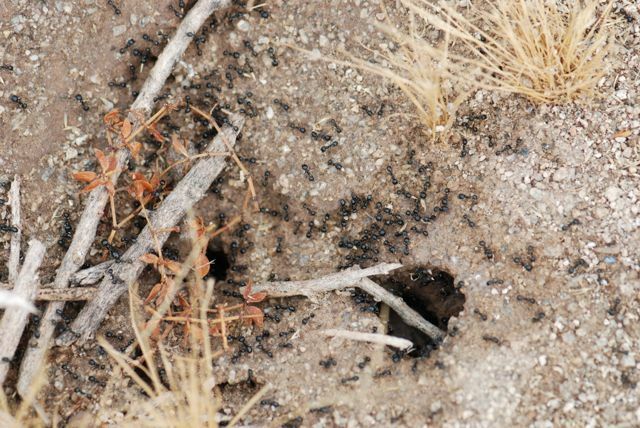 Thus, these Pogonomyrmex rugosus workers are gathering seeds from mostly local desert species of plants. What ends up in the trash, however, may not accurately entirely reflect what is being consumed. 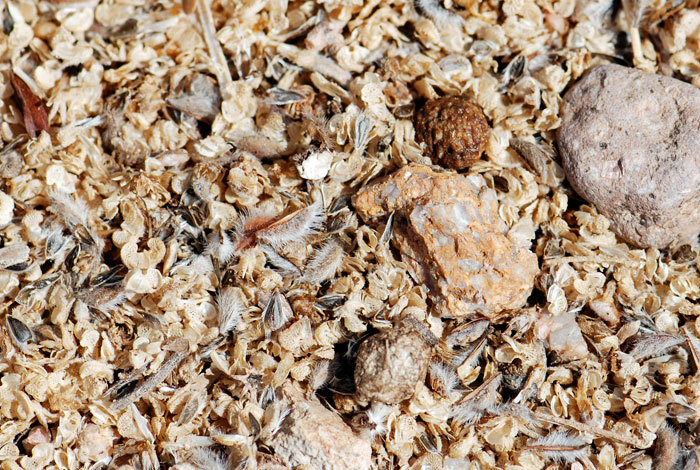 It is likely some seeds are used completely and have no husks to discard. Think about it, how accurately does your trash reflect what you eat? 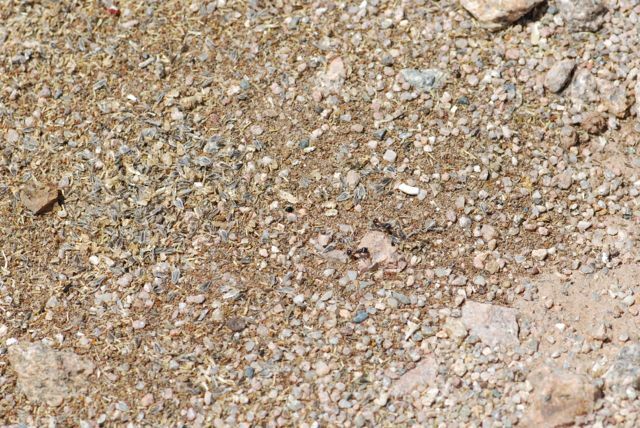 Have you studied ant middens? What did you find out? 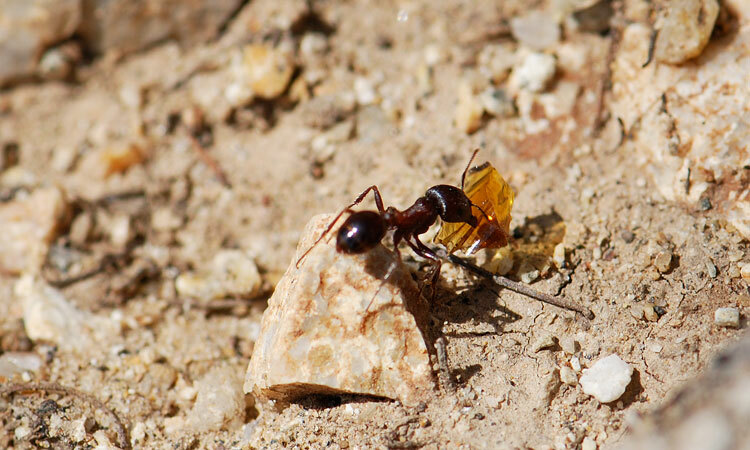 Wordless Wednesday: Pogonomyrmex rugosus carrying what? 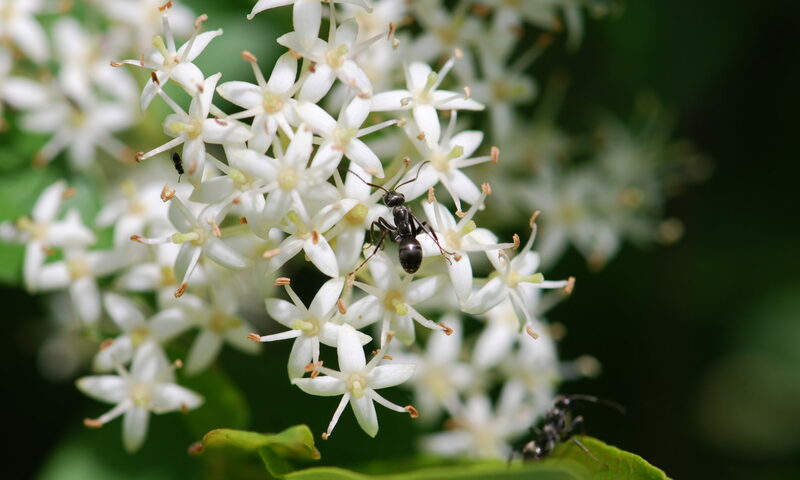 I always like to see what ants are collecting during foraging trips. Sometimes it isn’t easy to identify. And no, I didn’t have the opportunity to collect it and see.